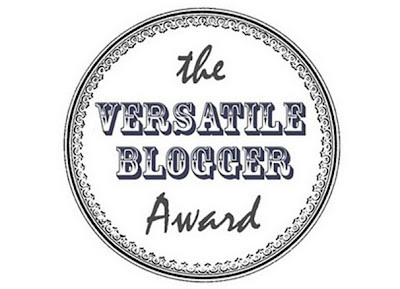 So first rule: I nominate.. this bloggers who always be my lovely readers and love to read and comment my blog posts <3 Thank you!! I like to read blogs too. Their blogs are cute and very inspiring ;) and they are..
ps: to junjun and lara.. I cant comment >_< hopefully you read this. 1. I started my blog because I love making craft. I want to share to people. I thought thats the best thing I can do. So I started this blog Luch Luch Craft. I thought I will only post about craft, thats what I thought.. at first. Until I want to share about food I make.. and want to share about my nail art.. and want to share about my pet. The newest thing I do is I share about my fashion. Now I am thinking that I shouldnt name it Luch Luch CRAFT since its not only about craft.... uhmmm.... uhmmm... but I love Luch Luch Craft name so I keep it. 2. While my brain is thinking about new craft design, my hand automaticly drawing flowers.. It happen everytime. 5. I don't own many make up and skin care product. I only have this one red box (not big and not little) where I put my make up there.. the beauty bloggers always amazed me cause they have so many products.. like they bought same eyeshadow color from many different brands.. that I think its a waste of money.. I said wow. but I got it. 6. I like collecting garbage.. I drink milk everyday and save the milk box on my backyard. Now I have ALOT of milk boxes on my yard. I cant even count.. I just thought that maybe I can make something from it.. but now I think I will just throw it away uhmmm we will see. just so you know.. im not dirty. its clean..
you are welcome ;) congrats! ooow what a cute you! Awwww! I'm so happy you tagged me!! I agree with your 5th random post and I find the 3rd very funny! Aw thank you :) Really interesting facts! oh you think thats awesome? xD thank you!! Hey congrats and thanks :) !! Why you can't comment? thankyou for nominating me :') feel so honored ! Your random facts are so funny! I lol'd so hard. Thank you sosososososos much for the award, I'll post it as soon as I'm done with school. Regards cute girl! Congrats on your award (and for posting about it). I never get a chance to post about the awards. I'm now following via GFC and bloglovin. ohh why not? i would love to read yours! thank you so much for the giveaway!! it may take a long time but I'm sure I will post it as soon as possible T___T once again thank you!